I am going to start off by saying that if you have audible, you need to listen to this book! 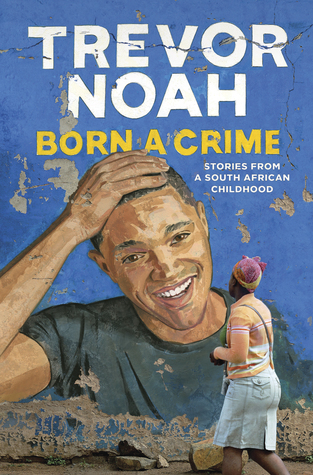 It is narrated by Trevor Noah himself, who is a comedian, and makes it seem as though you are sitting down with him and he is sharing his life story. It was such a joy to hear him talk about his life. Trevor Noah grew up in South Africa during the apartheid and after its collapse. It was brilliant to see how he was able to highlight the hardships he faced during his childhood, but also shared moments that were light and downright hilarious. What I most enjoyed about this memoir was the relationship he had with his mother. There were ups and downs but she was always there to push him to be better. I am inspired by her bravery. This books brings up many important issues of race, specifically what it is like to be mixed raced and feeling like you don’t fit in anywhere. Trevor really makes you emphasize with what that must be like, and I think it is something many people will be able to relate to. I truly learned a lot from this book, and I think it is a book that should be taught in schools. If you are looking for a memoir that takes on big issues, but still manages to have a lightness to it, than Born a Crime is the book for you. I have never read a book that has ever made me this angry. Do not get me wrong, it is absolute brilliant and I am truly inspired by Anthony Ray Hinton, but the injustices that he faced are infuriating. I could only read a little bit at a time because my blood would boil and I couldn’t even see straight. It is outrageous that a man can be on death row for almost 30 years for a crime that not only didn’t he commit, but all the evidence points to him not be the killer! I was so inspired by the fact that Anthony Ray Hinton was able to remain hopeful, have compassion and form friendships throughout his time on death row. Many of us would become hateful and bitter if that were us, but Hinton recognized that that wasn’t the man that he wanted to be. 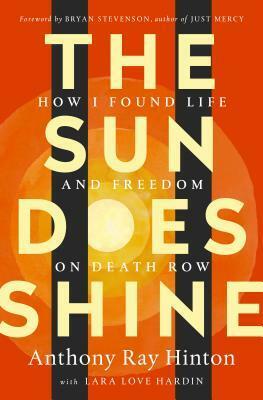 He shares stories and inspiring words with fellow death row prisoners, including a member of the KKK, and he even starts a book club! I also have such great respect for Bryan Stevenson, the lawyer who spent many years fighting to get Hinton off of death row. I was a blubbering mess by the end of this book! The Sun Does Shine is fantastically written and both incredible maddening and motivating. Please read this! 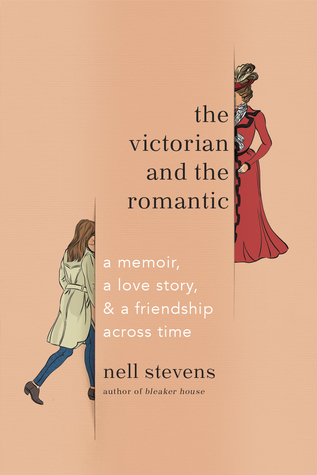 History meets memoir in two true-life love stories between two sets of writers–one unfolding in nineteenth century Rome, one in present-day Paris and London–both of which reveal the longings and ambitions of the very contemporary Nell Stevens. In 1857, English novelist Elizabeth Gaskell completed her most famous work: the biography of her dear friend, the recently deceased Charlotte Bronte. As publication loomed, Elizabeth was keen to escape the reviews and, leaving her wholesome, dull minister husband at home, travelled with her daughters to Rome. And it was there that she met the American writer and critic, Charles Eliot Norton. Seventeen years her junior, he was the love of her life. She knew they could never be together–it would be an unthinkable breach–but when she returned home to Mr. Gaskell, she discovered to her horror that while she was gone he had betrayed her–betrayed her work–in a way that she is not sure she can ever forgive. In 2013 Nell Stevens is in a PhD program in London, halfheartedly pursuing a post in academia to keep her afloat while she follows her true vocation as a writer. Her dissertation on the artistic expatriate community of nineteenth-century Rome isn’t quite coming together. But scholarly questions take a back seat to her budding romance with Max, a soulful American with an unfinished screenplay. That is, until their relationship begins to founder, and the echoes between Nell’s life and that of her historical subject become too strong to ignore. As these two storylines meet up in delightful, funny, and unexpected ways, Mrs. Gaskell and Me evokes the bittersweet ache of lost love and the consolations of female writerly ambition. After reading two very heavy non-fiction novels, I needed something light, so I picked up The Victorian and the Romantic. I absolutely devoured this book and could not get enough of it! I so related to the author and the place that she is in her life. I want her to be my best friend! This is one of those memoirs that is so incredibly readable that it almost reads like fiction. It was such a joy to learn more about not only the author, but also about Elizabeth Gaskell, who I knew next to nothing about going in to this book. I now adore her and need to read everything that she has ever written. I already bought North and South. There is something in this memoir that all of us can relate to. We have all experience loss, heartbreak, or unrequited love. Stevens is so open and raw with her emotions and struggles that there were moments that I almost felt embarrassed or her, but also completely understood what she was going through. I love that she was self-deprecating and honest about her life. I have so much respect for her. I was charmed by this memoir and I hope you will give it a chance. I love seeing how the lives of these two women, who lived almost two hundred years apart, paralleled each other. Nell Stevens admiration for Elizabeth Gaskell was evident and made me appreciate them both. I am looking forward to reading all of Elizabeth Gaskell’s work as well as whatever Nell Stevens puts out next! Thank you to Penguin Random House Canada for sending me a copy of The Victorian and the Romantic in exchange for an honest review. You have inspired me to read these books by your wonderful reviews. Going to get them soon. Amazing! I am happy to hear that. I hope you enjoy them! Awesome! If you love him than I think you are going to absolutely adore his book. His personality really shines through. I love your take on Born a Crime and I completely agree, he tackles really tough topics while maintaining a lightness. I loved it. Sun Does Shine sounds like it’s going to have the same effect as Just Mercy had on me and I’m also in awe of Bryan Stevenson…what an incredible and inspiring person he is! I hadn’t heard of the Victorian and the Romantic but I love the idea of a modern story echoing a historical one she’s researching. I’m not the biggest fan of romance stories but you make it sound so good, I may have to give it a chance! Thank you! I knew Born a Crime was going to be amazing but I enjoyed it even more than I anticipated. I have Just Mercy on hold at my library so hopefully I will be getting to it soon. There are few people I respect more than Bryan Stevenson. The Victorian and the Romantic definitely has a little romance but it is so realistic. It felt like an honest view of the lives of women. I highly recommend it! The Victorian and the Romantic sounds like a very interesting read! I’ll add it to my TBR! It is very creative! I hope you enjoy it! I’ve heard such awesome things about Born a Crime and especially the audiobook. He really does. It was one of the best experiences I have had listening to an audiobook! Yes!!! It is so good!! I didn’t know that!! The movie has the potential to be amazing! Awesome! I have read some amazing nonfiction this year but The Victorian And The Romantic is something special! So glad to hear you enjoyed The Victorian and the Romantic, Kristin! It’s one of my most anticipated releases and I can’t wait to pick it up. Elizabeth Gaskell is the BEST!! I’d recommend reading North and South first, followed by Wives and Daughters. Then make sure to watch the BBC miniseries too! Ohh that is good to know. I am going to have to run out and buy Wives and Daughters now. You are going to absolutely love The Victorian And The Romantic. It’s interesting to get an intimate look at a part of Elizabeth Gaskell’s life. They are both fantastic!! I hope you love them as much as I did!